Educational Field Trips Delaware | Back to Basics Learning Dynamics, Inc.
Last weekend of summer? Time for a educational field trip! Although summer is almost over, there’s still time for one last family road trip! So, for the last weekend of summer, the question is… where should you go? Many children have already visited local attractions on school trips, scouting adventures, and family excursions, so driving just a bit further can provide a wealth of new options. And, savvy parents know that combining a fun trip with an educational experience is a double win! If you’ve never visited a natural cavern, this summer is the ideal time to try spelunking! Indian Echo Caverns, located in Lancaster County, Pennsylvania is one of the most visited attractions in the eastern United States – and it’s easy to see why. Sparkling crystal clear lakes, dazzling calcium deposits, and stunning limestone “rooms” will inspire the budding geologist in your family. A 45 minute tour explores the 440 million year old site, which was originally discovered by the Susquehannock Indians and later by French fur trappers in the 17th century. Kids will also enjoy an afternoon at Gem Mill Junction, located on the site, where they can become official prospectors searching for gemstones, chunks of amethyst, jasper, calcite, or agate. 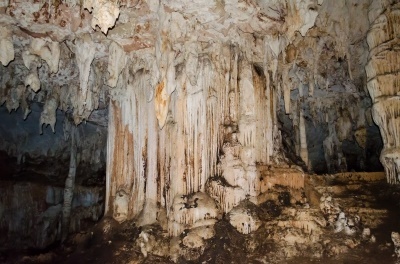 For more information, visit http://www.indianechocaverns.com/. The Maryland Science Center offers so much, it’s almost impossible to see everything in one day. Located in Baltimore’s scenic Inner Harbor, this trip could easily become a destination weekend. Exciting, interactive exhibits run the gamut from Dinosaur Mysteries, where children can dig for dinosaur bones, to SpaceLink which allows kids to become part of Mission Control, to Newton’s Alley in which the museum’s youngest visitors can manipulate a kinetic, energetic, hands-on exhibit. A planetarium and IMAX theatre round out this thrilling day of science for kids of all ages — and just may inspire the next Albert Einstein or Madame Curie! For more information, visit http://www.mdsci.org/. At the American Civil War Museum in Gettysburg, Pennsylvania, the phrase “history comes alive” takes on new meaning! The museum encourages kids to not only learn about history, but become a part of history. Interactive programs – from “Learning to be a Civil War Soldier,” to “The language of fans and parasols,” to “Children of the Civil War” allow kids to become active participants. In addition, on most weekends now through November, the Gettysburg Heritage Center hosts complimentary Living History Encampments. Visitors may stroll through the Civil War camp, view military drills and demonstrations, and speak directly with the reenacters. For more information, including a complete list of Living History events with dates and times, visit http://www.gettysburgmuseum.com/. If your children believe that milk comes from the grocery store and not a cow, if they think that John Deere only manufactures lawn mowers, or that farming is the “simple life,” they’ve never been to the Delaware Agriculture Museum in Kent Country, Delaware! The Delaware Agriculture Museum offers a wonderful education in all things farming-related. The Main Exhibit Hall is chock full of technological advances – from blacksmiths to tractors. Loockerman Landing Village, a representation of a rural 1890’s village, allows children to catch a glimpse of farm life at the turn of the century, and includes a country store, schoolhouse, church, and more. Guided tours are 1 to 1 ½ hours long, or families can explore the museum at their leisure. For more information, visit http://www.agriculturalmuseum.org/. Photo by Yongkiet and FreeDigitalPhotos.net. Summer is almost over... time for one last educational road trip! Long holiday break? Plan a family field trip that's fun... and educational!